Situated off the west coast of Italy, Sardinia (Sardegna), the second-largest island in the Mediterranean after Sicily is celebrated for its clear turquoise waters, white-sand beaches and wild coastline. But it’s also a paradise for wine lovers and the new go-to region for compelling Italian wines. Sardinia has a long and deep history in wine production which remained almost unknown outside the island for centuries making it home to a variety of native grapes that bear little resemblance to those in any other Italian wine region. The island’s signature white is the rich yet refreshing Vermentino, and fans of red wines can turn to selections made from Monica, Pascale and Sardinia’s flagship red, Cannonau (the local name for Grenache), which range from savory and light-bodied to complex and structured power houses. 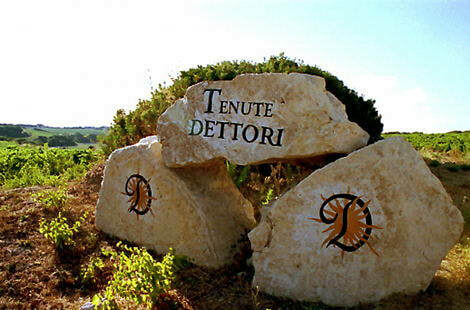 Dettori has been cultivating the earth and the vine from time immemorial and is one of the few producers from Sardinia with the history and authenticity that truly reflects the region producing wines of tradition and terroir. Wines that are free to express themselves and their growing area to the fullest.